For more than four decades, President M. Russell Ballard has witnessed the Church’s worldwide expansion. Called in 1976 to the First Quorum of the Seventy, he has watched an increase of nations where the Church is established, proselytizing languages, and international membership. In February 1996, Church membership passed a historic mark. Of the Church’s 9.4 million members, more resided outside the United States than within. That global growth continues now, with 9.5 million of the 16.1 million members outside of the U.S., with publications of the Church appearing in 188 languages. Accompanying those changes over the same period has been a dramatic increase in the number of international General Authorities—those born outside of the United States. In 1978, only 10 of the Church’s 69 General Authorities that year hailed from outside the U.S. While the number of General Authorities serving today has nearly doubled to 116 total, the number of international General Authorities has risen to 46, a jump of more than fourfold. In 1978, those born outside of the United States comprised 14 percent of the General Authorities serving; today, it’s 40 percent. More international General Authorities, in turn, help local members better understand the role of these leaders, said Elder Claudio R. M. Costa, a General Authority Seventy from Brazil who, along with Elder Dieter F. Uchtdorf of Quorum of the Twelve Apostles, was called to serve in 1994. 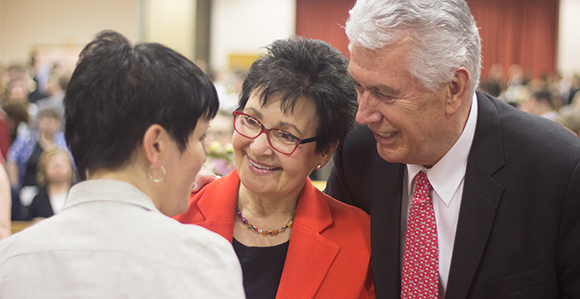 Together, they are the longest currently serving international General Authorities.